Fun for all ages is our motto! 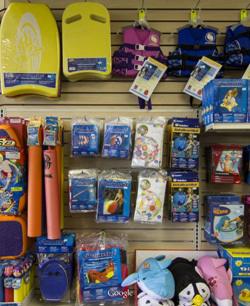 We carry a unique selection of toys, from the ever popular dive sticks and rings to battery powered jet skis and boats. 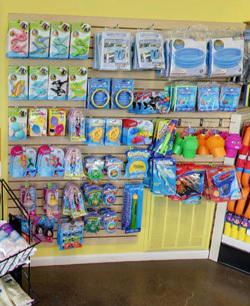 Our retail store also boasts a nice line of childrens swimwear at affordable prices. Stop by today for a truly pleasurable shopping experience or give us a call for that hard to find item.